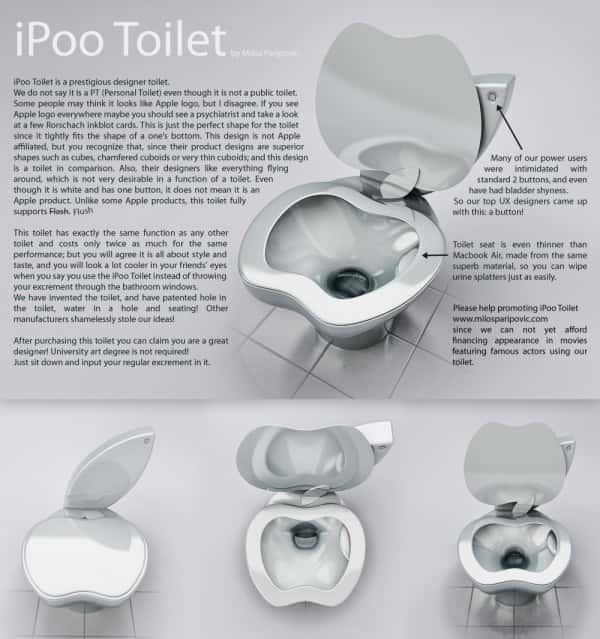 The very classy Apple ipoo toilet was created by a designer named Milos Parapovic. If you thought the Macbook Air was good then you will be amazed to know that the seat on the Apple ipoo toilet is even thinner. The toilet is made from the same aluminium that is used in the creation of Apple notebooks. This is a premium toilet that features powerful flush technology. A great place to sit while you check you facebook on your matching iphone. According to statistics 27% of Americans do check their facebook while on the toilet. This Apple toilet would be perfect for the task.